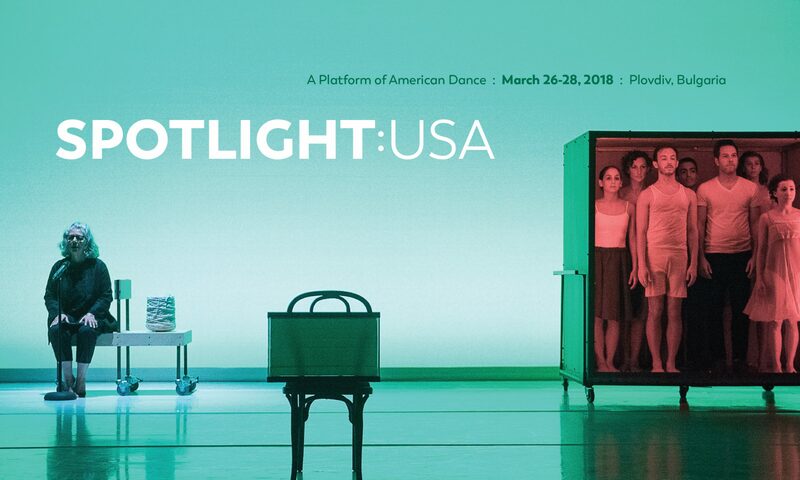 Note: Douglas Sonntag delivered this talk at SPOTLIGHT: USA on March 27, 2018, to provide context about American dance to the international delegates in attendance. I would like to thank American Dance Abroad, Andrea Snyder and Carolelinda Dickey for inviting me to address you today. What a wonderful opportunity to experience dance and the beauty of Bulgaria. Thank you. When Europeans first encountered the Americas, they stumbled upon vast civilizations that had robust and varied dance cultures. There were religious and ceremonial dances for beginning wars or to ensure a successful hunt, communal dance rituals, and dances that marked important life events such as passing from childhood to becoming a young adult. As newly arrived immigrants, Europeans brought their own dance cultures from Spain, England, Ireland, and France, and soon, with the importation of enslaved peoples to work the rice, sugar, tobacco and cotton fields, the dance practices of all parts of Africa. Other immigrants brought dances from virtually every region on earth. Immigrants arrived with mostly nothing of material value but rich with their heritage of music, food, and dances. The resulting mash-up of cultures was, and in many ways has remained, the story of American dance. Immigration has also made American dance encyclopedic in scope. In my many years working in the dance program at the National Endowment for the Arts, I reviewed applications from the usual suspects: companies working in classical ballet or traditional modern dance. However, there were also applications for projects supporting jazz dance, site specific, tap, aerial dance, as well as dance companies mining the traditions of India, China, the Caribbean, Eastern Europe, Brazil, Thailand, Vietnam, the Philippines, Cambodia, and dozens and dozens of other nations. This variety of traditions and techniques has resulted in an equally broad aesthetic range, with choreographers and dancers pushing the range and very definition of what is dance. But, we’ll get to that a bit later. First, let’s take a step back and look at the beginnings of what would become theatrical or concert dance and would lead to the proliferation of the dance artists and companies we see today. As I prepared my remarks, I realized that the structural underpinnings of American dance were probably not going to be familiar to audiences outside of the United States. Dance as a performative practice in the United States breaks down into two basic categories: the commercial world of Broadway, movies, casinos, television, theme parks, and cruise ship entertainment. Think, “So You Think You Can Dance” and “Dancing with the Stars”. This is a vast world for which I will give you one fun fact; the state that employs the most dancers is Nevada. That factoid is from a government study and I once worked for the government, so I know. There are a lot of floorshows in Las Vegas that need lots of, mostly, showgirls. The other category is the one I will focus on today, and that is dance companies that are defined by the internal revenue service, our tax collectors, as not-for-profit or public charities. Such organizations receive certain privileges for providing a public good and whose financial assets do not accrue to the benefit of individual private citizens. These organizations are eligible to receive grants from federal, state, and local governments and private foundations such as the Rockefeller Foundation. Not-for-profit organizations can also provide individual donors with a tax deduction. I won’t bore you with the details of the not-for-profit world, but if you’re interested in how the United States funds the arts there is a publication available on the website of the National Endowment for the Arts called How the United States Funds the Arts. It lays out the whole complicated process of how the Americans do it. In the 19th century, the United States had no real tradition of concert dance and what did exist was confined to musical reviews and the opera. However, there were a few spectacular moments for dance. My personal early-days anecdote involves one of the most famous ballerinas of the romantic era, Fanny Elssler. Anyway, with no further drama Elssler arrived in America where she was a sensation. Her performances in New York, Baltimore, and Richmond saw her horse unhitched so her ardent admirers could pull her carriage through the city streets from hotel to theater and back. In Richmond, Virginia, cannons were fired and church bells rang upon her arrival. But further honors were to come. In Washington, the president (Martin van Buren) called a special meeting of his cabinet to meet the ballerina, and congress toasted her health with sips of champagne from her slippers. On evenings when she danced, congress would adjourn since no quorum to advance legislation could be called. Well, Fanny Elssler broke her contract with the Paris Opera to stay an additional three years in America. She was guaranteed $500 per performance, which was a fortune in those days. When she finally returned to Europe, she was still young, beautiful and immensely wealthy. Other European artists would follow, hoping to replicate the financial success of Elsser’s tour – some would find success, others not, but the critical factor of dance in the United States was that these troupes did not spark the growth of a domestic art form. American dance would remain something more akin to fancy dancing, vaudeville, and tightrope walking. Then something did begin to happen – somehow all the visiting ballet artists touring around the States, that included Anna Pavlova on several tours – somehow this art began to nurture a native response, and enough Americans had made it to Europe and found success that the cosmic dance dust began to coalesce into a sort of big bang moment for new world culture. For classical ballet, the early years of the 20th century were a bit sleepy. The Metropolitan Opera would schedule occasional evenings of ballet. There were also tours by the Ballets Russes that began to whet the public’s appetite for dance. To see any ballet on a consistent basis, the intrepid dance goer would need to frequent vaudeville shows that offered class acts as part of the entertainment. Ballet didn’t really take off until two things happened. In San Francisco, the opera company formed a permanent ballet troupe to provide dances for its opera performances. Within a few short years, the company would separate and form the first professional ballet company in the United States, the San Francisco Ballet – today one of the world’s great dance institutions. The other event of great import was the arrival of George Balanchine in 1933 to New York City. Brought to the United States by Lincoln Kirstein to start a company, Balanchine famously stated, “a company yes, but first a school”. So, in 1934 he founded the School of American Ballet. It would be several years before the establishment of ballet society and eventually the New York City Ballet. In the meantime, Balanchine would keep busy choreographing for Broadway, other companies, and even a ballet for elephants in the circus. Foreign visitors continued to arrive and feed the dance needs of audiences across the country. Notably, the two competing versions of the Ballet Russe de Monte Carlo. The company’s dancer began to settle into their adopted homeland and schools and companies began to proliferate nationwide. But let’s return to what was homegrown and not imported. At the end of the 19th and beginning years of the 20th century, what could be truly called American concert dance finally appeared, albeit, if a little out of focus. Three powerful women epitomized this new beginning. The first, Loie Fuller, who began her performance career as a child temperance lecturer speaking out about the evils of alcohol, moved on to a modest theatrical career when someone gave her a gift of several yards of china silk. Thank god, she had found her true calling. With lights she developed and acres of fabric she created such creations as the serpentine dance and the flame. These signature works enchanted audiences as she whirled and swirled, becoming the very image of fire. Fuller found great success in the music halls of Paris and the opera houses of the United States. The second, Isadora Duncan, was born in San Francisco in 1878. She made her dancing debut in 1899 in Chicago. It was a failure. Leaving for Europe with her family, she danced in Paris to great success, which led to engagements in Budapest, Berlin, Florence, and other European cities. She first danced in Russia in 1905, where her Greek tunics and bare feet caused lasting controversy between the die hard classicists of ballet and those such as Michel Fokine, who were agitating for reforms in dance. She established schools in France, Russia, and the United States, where her young accolytes, the Isadorables, would perpetuate her legacy well in the 20th century. No doubt Duncan would have continued to find fans, and fan controversy had she lived longer than her 48 years. She was killed in Nice in 1927 when her long flowing scarf became entangled in the wheels of the roadster in which she was riding, strangling her. The third member of the triumvirate was Ruth St. Denis, who began her career in theater with little dance training. One day in Buffalo, where she was appearing in a production about Madame du Barry, her epiphany happened and she knew where her future lay. What had so caught her fancy? She saw the advertisement for a brand of Egyptian cigarettes with the image of the goddess Isis on the package. The fire was lit and there was no turning back. She began work on Egypta, only to shelve that idea when her research indicated it would be beyond her means financially. So, she switched to India as the source of her production and creation “Rahda.” It was presented in New York in 1906 and would go on to a successful three-year tour of Europe. In 1914 she would marry Ted Shawn and the enterprise became forever known as Denishawn. Their grand dance theatricals would raid many, many cultures around the globe, but without this collaboration, American dance would be a very different creature. The pair would go on to create Jacob’s Pillow Dance Festival in Massachusetts, and nurture generations of dancers, most notably Ted Shawns’ Men Dancers. Denishawn was also the company where a young Martha Graham began to formulate her own artistic destiny. The founding generation would be followed by artists that formed the definition of what American modern dance would be for the next 50 years. Martha Graham, Doris Humphrey, Katherine Dunham, Jose Limon, Helen Tamiris, and Charles Weidman. These choreographers actually invented that model that is still the standard for today’s choreographers and companies. They developed a personal vocabulary and technique, and worked over time with the same group of dancers, which allowed them to deepen the physical understanding and nuances of technique and performance. These choreographers were titans in the quality of their dances and the scope of their artistic vision. Great dances seemed to pour out of these choreographers. Graham produced Appalachian Spring, celebrating the heroes and heroines of the American frontier; Limon gave us The Moor’s Pavane, a brilliant distillation of Shakespeare’s Othello. Humphrey choreographed The Shakers that drew on the ecstatic dance worship of that religious sect. Like Ruth St. Denis, Graham would have dancers emerge from her company that would go on to storied careers of their own: Merce Cunningham and Paul Taylor. It’s always tempting to make generational family trees with American dance because it’s so young and not overwhelming in size. Graham came from Denishawn, gave us Merce and Paul, Twyla Tharp danced in Taylor’s company, and so on. It’s a fun parlor game but artists generally hate it. So, I’ll pass on that for today. That the second generation of artists would be followed by a third of equal brilliance was like winning the arts lottery for the United States. Merce Cunningham, Paul Taylor, Trisha Brown, Donald Mckayle, Alwin Nikolais, Murray Louis and Alvin Ailey continued in the now established model and they produced stunning work that still astonishes today. Paul Taylor’s company is performing in New York at Lincoln Center even as I speak. Alvin Ailey’s company is one of the most successful dance organizations in the U.S. Trisha Brown’s work continues to tour the world even without Trisha here to see it. I’ve sort of raced through the first half of the 20th century because I wanted to get to what is arguably the most important years for contemporary American dance, the period from about 1960 to 1986, when the dance boom exploded, if you will. Up to the 60s contemporary dance was mainly a phenomenon of the large cities on the east and west coasts of the United States. There was Bella Lewitzky and Lester Horton in Los Angeles and most everyone else in New York. Suddenly, for a variety of reasons, contemporary dance companies could be found everywhere. There was funding newly available from the National Endowment for the Arts. Funding was also newly available from individual state arts agencies that the new pushed into existence. Additionally, there was intense interest in new dance from colleges and university presenters that enabled dance companies to be in residence on campuses and to support themselves through touring. Importantly, this financial cushion, however thin, allowed choreographers to continue to explore and develop profoundly personal artistic voices. Artists responded by pulling from a variety of sources in their communities, their geographic location and, in the end, continuing to mirror the diversity of voices found in the culture at large. The dance boom was a dizzying time generating intense arguments about what dance was and what dancers were. The influential schools of technique, Graham, Cunningham and Limon, generated pushback from the artists that emerged from the Judson Church. Seeking to unearth new ways to move and perform, Steve Paxton, Deborah Hay, Yvonne Rainer, Lucinda Childs, David Gordon, and Trisha Brown declared that technique for its own sake wasn’t enough and was too limiting and confining in what movements could be considered as art. Increasingly, choreographers were charting their own journey and artistic philosophies. Eventually, the Judson dance theater artists would spin off into the influential world of post modernism. This collective of choreographers, visual artists and composers would have a profound effect on each other and on culture at large. Again, that continues to this day. The multiethnic makeup of the U.S. population also means that influences from across the globe are finding their way into the works and onto the stages of the us. From an art form centered in New York City, the United States now counts dance artists and companies in virtually every part of the country – a legacy of the roaring years of the dance boom. Let’s take a look at the SPOTLIGHT artists for examples of the wide-ranging aesthetic diversity of American dance. I’d like to turn for a moment to assess the condition of American dance as we move through the 21st century. We know there are challenges that will have an impact going forward. Here are the ones I see, undoubtedly there are ones I’ll miss, but I think this is a good start. Audiences: in this world we now have several generations of children who have been raised looking at screens for enjoyment, distraction, games, and knowledge. Most arts organizations, if they’ve had the resources to move into the digital realm, probably have larger audiences on-line than in their theaters. If you’re the Metropolitan Opera or the Royal Ballet, a single broadcast performance reaches more people than an entire season of sold out performances at the Met or Covent Garden. Which would you prefer to actually see; the singers and dancers close up and huge on the screen, or small and distant with the lady in front of you with big hair blocking your view? Bonus points for the difference in ticket prices, too. Technology: those generations of kids who were raised by their phones have a unique understanding of technology and how to make it work for them. They also have some pretty tough expectations. Access to content all day every day and little to no desire to pay for said content. So dance companies need to be in the digital realm with high quality content, but as of now, no real way to monetize their output. Writing in the New Yorker a few years ago, the film critic David Denby made the startling observation that the screen raised generations are by all accounts “platform agnostic.” He was referring to the movie Lawrence of Arabia, which in movie houses is an overwhelming experience, with hundreds of horses, hundreds of camels, thousands of soldiers, and hundreds of miles of desert sand. Watching the movie on their phones was just fine. The content is more important than how they receive it. Previous generations valued the live performance. Today, technology has made the audience a moving target if large screen televisions, tablets, and smart phones are the equal of going to a theater. Heritage: contemporary dance in the United States in now over 100 years old. In that span, thousands of choreographers have produced thousands of dances. When you look at the catalog of choreography that can be reproduced with integrity and original intent, the number is shockingly low. America has let one of its greatest cultural assets slip away. This happened partly because the art form was so new and its founders and creators were still alive and able to restage their own works. But time caught up with that idea and as artists died, so did their dances. Videotape was to be the great weapon in keeping dances alive, but in the end, it proved to be a back-stabbing friend, as anyone knows who has tried to look at tapes that were too brittle to play or fused together by their magnetic emulsion. With time came the inevitable set of decisions of not only what works to save but also what companies should or could outlive their founders. As companies evolve from creative producing enterprises to legacy and care taking, painful work lies ahead. These decisions will also be about control of the archives and who will control it in the future. In theory, the archives of many performing arts organizations do have great potential value, but only if there is the ability to provide access and distribution of work. None of these relationships anticipated the global network that would make experiencing the arts on-demand in any location possible. Likewise, most artists did not anticipate the ability to have a worldwide audience and what that relationship would look like. Despite the challenges American dance companies face, these are exciting times for dance. In the United States, we are living with a dynamic population change, a revolution in technology, and a great, unknown landscape on the horizon. Artists are forging ahead, some as pioneers, others determined to reclaim and mine the past. Everything now seems possible.